Pre-construction anti-termite control cost in Gurgaon starts at Rs 8 to Rs 10 per square feet. Post-construction anti-termite control cost in Gurgaon starts at Rs 3 per square feet. What are termite control charges in Gurgaon? Do you know the same? Many people want to know termite treatment cost in Gurgaon before the book the treatment services to make their places termite-free. If you are one of those people who want to know the approximate termite treatment rates in Gurgaon then we would be very happy to tell all the details. Do you have noticed that destructive termites are eating into your furniture? Do you have seen the early signs of termite presence in your home or office? Do you know, termites can be a serious threat to your property, especially the furniture and wooden structures? If you have noticed the sign of termite infestation in your home or office then you need to consider for exterminating termites as soon as possible. Termites have to be treated right away by hiring the right and best termite control and treatment measures. And Gurgaon Termite Control, the number 1 termite pest control company in Gurgaon, can offer you the best anti-termite control and termite control services in Gurgaon at the affordable charges and rates. And you know well that no a service can be availed at free of cost. There would be a certain cost for termite treatment or termite control in Gurgaon which you will have to pay. It is equally important to know the termite control cost in Gurgaon as hiring the right and reliable termite control company in Gurgaon. So, what is termite treatment cost in Gurgaon? Is there any termite control price list in Gurgaon? How much do we have to pay for hiring termite control services in Gurgaon? To know the right answers for these types of questions, you need to know and understand what factors actually affect the cost of termite treatment. There are many factors that affect the charges for termite control services in Gurgaon. The cost or price of termite treatment in Gurgaon may vary depending upon the types of termites, the size of treatment area, types of pesticides used in the treatment process, the level of termite infestation, and the level of termite treatment required. For example, the cost of early termite treatment can be less than of severe termite infestation. The cost of 3 BHK termite control can be higher than the cost of 1 BHK termite treatment. The residential termite control cost and the commercial termite treatment cost can be different. The cost pre-construction anti-termite treatment and the cost of post-construction anti-termite treatment can be also different. In a nutshell, termite control charges in Gurgaon are not fixed, and they will vary on various factors. Whatever termite control charges in Gurgaon are, you will never like to compromise with termites in any way. You will always like to get the best termite treatment because you can save more by protecting your furniture. However, you will like to find the ways to save money on hiring termite pest control services in Gurgaon or hiring the right company that offers you termite control at affordable charges and rates in Gurgaon. Here comes Gurgaon Termite Control which offers the best termite treatment at affordable rates and charges. So, hire the best termite control in Gurgaon with us at the most affordable rates and charges in Gurgaon. Our termite control price in Gurgaon starts at 1200 only. Get to know about the standard rates and charges for termite control in Gurgaon listed below. Check out the updated Termite Control Price List in 2018 below. Please note: The pricy many vary depending upon the circumstance and severity of termite infestation. If you want to know the precise price estimate for termite control in Gurgaon then call us at +91 - 9911918545 or 1800 11 6878. Our expert termite exterminator or technician will conduct a free home inspection and give you the precise rates for required termite treatment plan. There are wood borers who are also known for their wood eating habits. They are a great threat to furniture and wooden structures. You cannot detect the presence of wood borer or wood borer infestation until the damage becomes visible. Hence, the early identification becomes imperative before more damage to your property is caused. We advise you regular inspection so that you can protect your property and furniture against termites and wood borers. Do you know what the differences between woodborer infestation and termite infestation are? You can notice the difference between them by observing the wood dust. Look at the dust you get from the infested wood. If the dust is very fine then your furniture is infested with woodborers. If it is the rougher dust then your furniture is infested with Drywood termites. If you have noticed the signs of wood borer infestation to your furniture then you must not delay. You should hire the woodborer control service as soon as possible. We at Gurgaon Termite Control also provide wood borer control services in Gurgaon at affordable charges and rates. Woodborer control charges or wood borer treatment costs in Gurgaon are similar as the termite control and treatments costs in Gurgaon. You can hire the woodborer control services in Gurgaon starting at only Rs 1200. Whether your furniture is infested with termites or wood borers, you will never like to see damages to your furniture. You would like to hire the best treatment service for the same. We at Gurgaon Termite Control are offering termite control service and wood borer control services in Gurgaon for residential and commercial properties at very affordable and genuine rates. Our expert exterminators and technicians will make proper home inspection of your property to detect the presence / infestation of termites or woodborers. Then they will provide you the appropriate treatment plan and cost for the same. 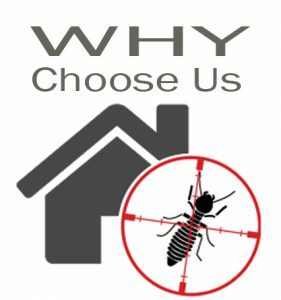 Our team of professional exterminators choose highest quality pesticides and products to deliver you safe and long-lasting termite treatment in Gurgaon and wood borer control in Gurgaon. We ensure for delivering our best to make your premises / properties completely pest-free saving you from the damage caused by termites or wood borers. Whether it is termite infestation or wood borer infestation, you can easily book our long-lasting and cost-effective termite pest control or wood borer control services in Gurgaon with just few mouse clicks or by making a phone call to us. With efficient pest control services in Gurgaon, you will get rid of termites or woodborers permanently. You will be able to protect your property from costly repairs. Find out more about Termite Control in Gurgaon and call Gurgaon Termite Control experts today at +91 - 9911918545 or 1800 11 6878 for your residential or commercial properties in Gurgaon.